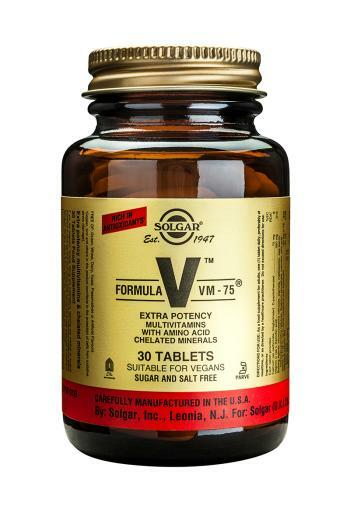 Solgar Formula VM-75 Multivitamins and Minerals is an award winning, convenient one-a-day multi vitamin health supplement - Extra high potency tablets, with balanced multivitamins and chelated minerals. probably one of the best selling multi-nutrients worldwide. As a food supplement for adults, one (1) tablet of Solgar VM75 daily, preferably at mealtime, or as directed by a healthcare practitioner. Do not exceed directions for use.